Leah Triplet is certified to practice as a physician assistant by the National Commission on Certification of Physician Assistants. She completed a Bachelor of Science in Natural Sciences with a minor in Chemistry and Biology at Daemen College in New York. She then went on to earn her Masters of Medical Science degree at Nova Southeastern University. 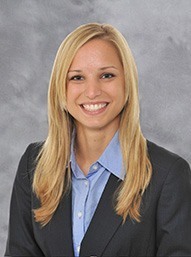 Leah is a member of the American Academy of Physician Assistants and Florida Academy of Physician Assistants. She has a special interest in connective tissue disorders and athletic injuries in children and adolescents.